Here is an often referred to, unique and useful chart my friend in Addis Ababa, Professor Ermias Dagne, compiled and posted on his website Aritiherbal.com a few years ago. Due to various issues it has rarely been accessible on his website. Many have asked for such a comparative tool for the various types of Frankincense, so, here it is. Much more study and research needs to be done on these precious aromatic and medicinal oleoresins. Not only to accurately discern the many compounds they share and distinguish themselves by, how these compounds affect our physiology, or interact with other compounds and medication, but to deepen our understanding of the trees that bear them as important cultural, economic and ecological entities. Seeing to the prosperity and well-being of the harvesters and clans that care for these trees in the wild, still seems the most direct and efficient method to preserve and tend to them. For this reason, “fair trade” products and practices shine for their effectiveness in balancing the resources of the world, and carry with them a clear message of benefit through conservation. Fair trade practices establish direct relationships with the harvesters, assure us of the freshest and best quality products, support conservation in ways large organizations cannot, and ensure fair value on all sides. Though world demand for these healing natural products is growing, I think the first step is to preserve what we have in nature. From there we can devise methods to expand the harvest in ways that maintain both cultural and ecological balance. The lives of the harvester families and clans often centers around the production, harvest and sale of these aromatic oleoresins, and must be accounted for. They are the only stewards of these trees and have been for centuries. If trees are damaged or lost, that loss is personal and beyond mere financial inconvenience. These trees grow wild in the most remote regions as do these families and clans. They are dependent on each other, and these trees are integrated deeply in their social and cultural lives. B. frereana Birdw. known only from Somalia, Meydi (resin). B. serrata Roxb. from India. Reblogged this on apothecary's garden. The alcohol dissolves both the essential oils and the resins which make up the majority of the tree’s oleoresin. To produce a pure essential oil you would have to distill the raw oleoresin with boiling water or the steam from boiling water. The essential oils will carry over from the still and not mix with the water so they can be cleanly isolated from your distillate. They will float on top of it. The resin and water-soluble gums will remain behind in the still. If you use alcohol as a distillation medium, the essential oils will dissolve homogenously in the alcohol distillate and be irretrievable. If you try to isolate the essential oils by evaporating the alcohol distillate you may lose the more volatile components of the essential oils and the fragrance. You should be able to get at least 6% of your total oleoresin mass as an essential oil through hydro/steam distillation. This is pretty much the norm. I hope this was of some help…Let me know if I can better address your question. Thank you for sharing this with me, Dan! I love all the valuable information here. I am diffusing frank now. I would love to see those trees! It is truly healing, physiologically, emotionally, spiritually, and physically. My son & I love to chew the resin we got from you! So nice to hear from you Pepper. Things have developed quite a bit since you bought your Frankincense Frereana from me. 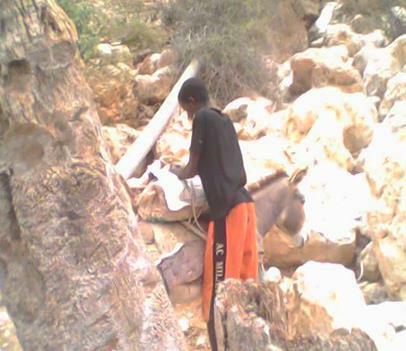 This blog has opened up a dialogue with traditional Frankincense harvesters and I hope to visit them soon. I too look forward to seeing the trees.. I’ll be sure to post photos..
Chewing on some resin as we speak. Great post Dan! Thank you my fragrant friend. Always a treat to hear from you. I’m slightly confused about the chart – what is the relationship between the mass and percentage? Generally solubility is defined as a mass/volume ratio. I’m not sure if I understand your question, but the mass used in professor Dagne’s chart are 500 grams of each oleoresin. What volume of solvent was used is not indicated in the chart. We could ask? Thanks for the resins, and for the information on your site. It’s an excellent resource, so cheers for outting it together. I’m actually interested in the ratio of resin to the solvent (ethanol in particular). I don’t know how I missed your comment, so my apologies for addressing it 6 months after you posted!! Having two blogs is a little bloggling sometimes. I find a 1:5 ratio of resins to solvent works best. A 1:3 leaves a lot of the resin behind. Grinding the resin fine is also a key to the process. Dearest Dan, I don’t know you, and I’ve just “met” you, but I must tell you that I already love you! And I apologize for the 6 month delay responding to your comment! I think have in 2 blogs may stretch me a bit further than I admit. As you likely know by now, Boswellia Serrata does work just as well as the other Frankincense types in alcohol and oil extractions as well as the resin extraction with water. In the solubility table, what does 93 mg/18% mean? In the solubility chart 93 Mg/18% means that of 500 grams of Boswellia Sacra, 93 milligrams,, or 18% dissolved in water. 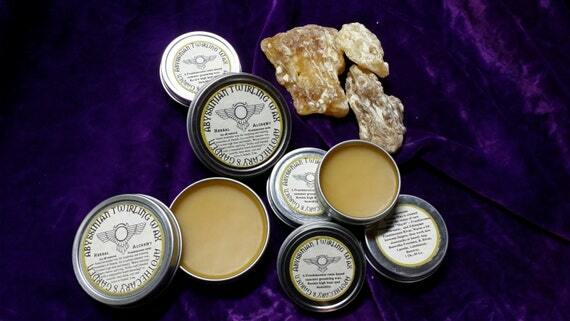 This means that this particular frankincense type is made up of 18% water soluble gum. and likely about 370 Mg. or 74% resin and essential oil which dissolve in Ethanol. Based on the table can you say that boswelli serrat contains almost no to 1% water soluable gum? Boswellia Serrata is not listed in this particular solubility chart. However, to the best of my knowledge, Boswellia Serrata has a water-soluble gum content similar to Boswellia Carterii and Boswellia Papyrifera, between 15% and 24% depending on the sample. 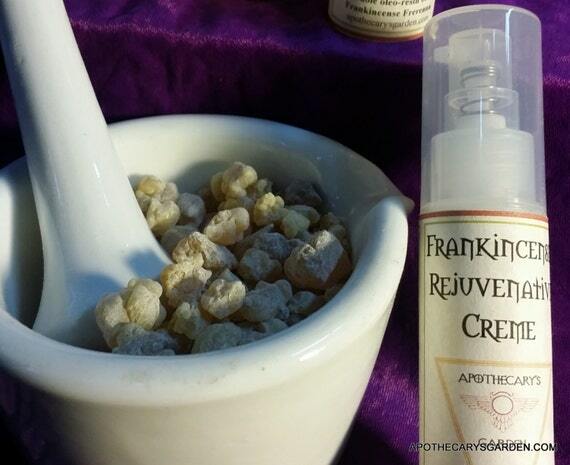 I only resonantly became aware of the healing properties of both Frankincense and Myrrh, thank you for sharing. Both resins also dissolves quite readily into DMSO for various applications that some might find useful. As always, care is advised! I wasn’t aware of their solubility in DMSO. I will have to pick some up and experiment.